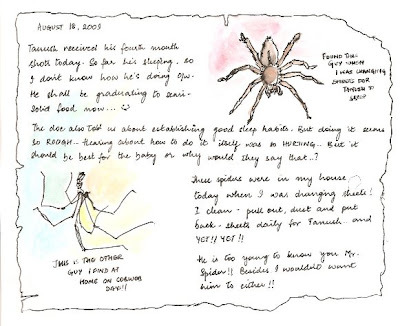 Linisha's Lines, Scribbles and Dots..: Eeee... Spiders! AF # 6 - Chocolate cake with Ice Cream.. Yummm!! Some days are nicer than you plan for..